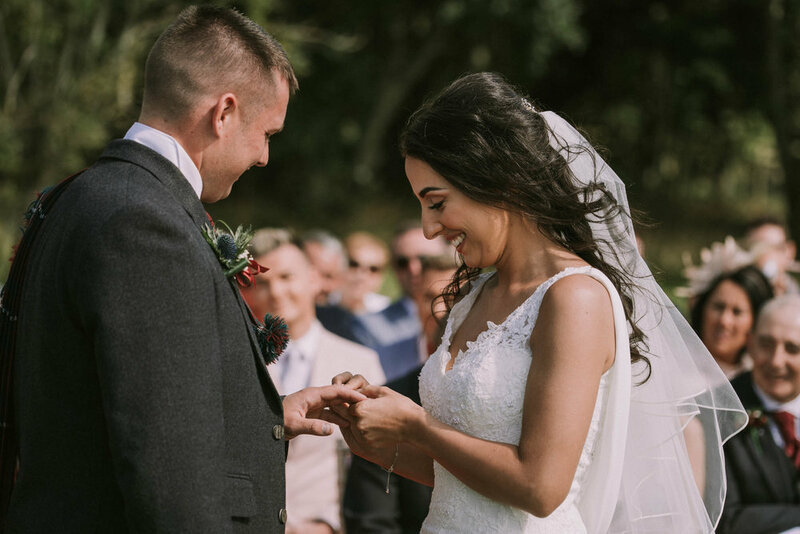 I don’t even know where to start with how beautiful this wedding was. 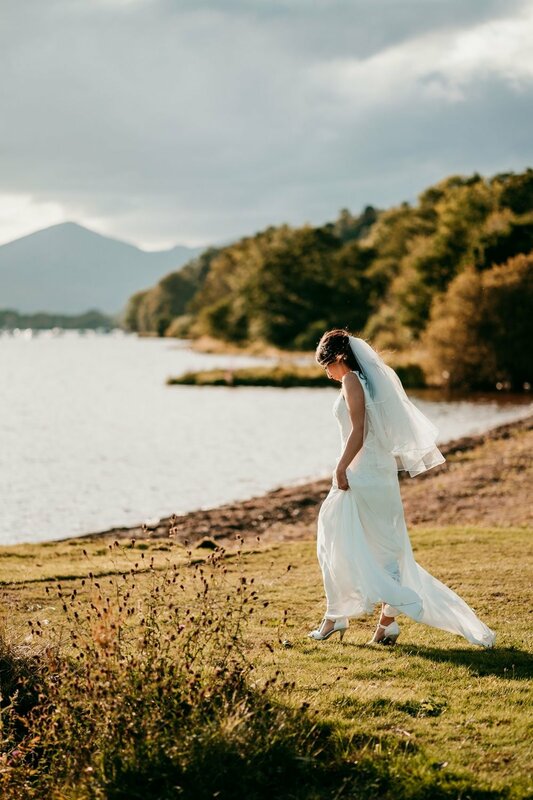 Loch Lomond is one of my absolute favourite places in Scotland and I love getting the chance to photograph weddings here. 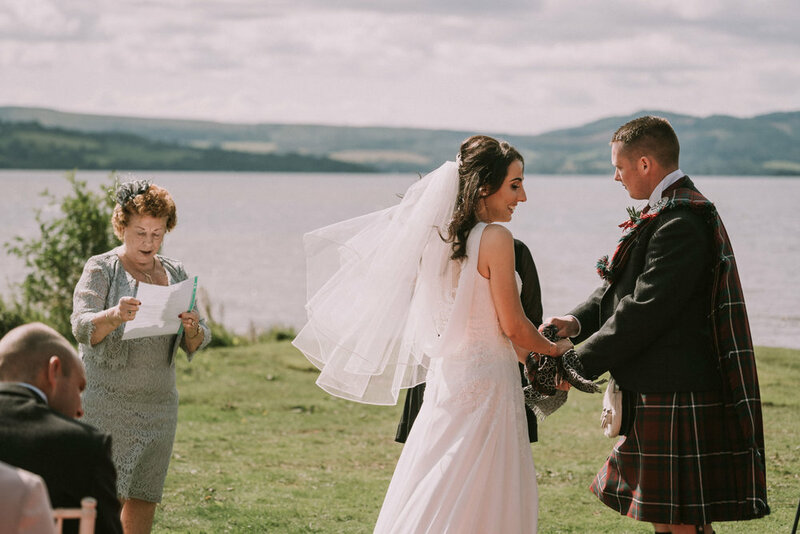 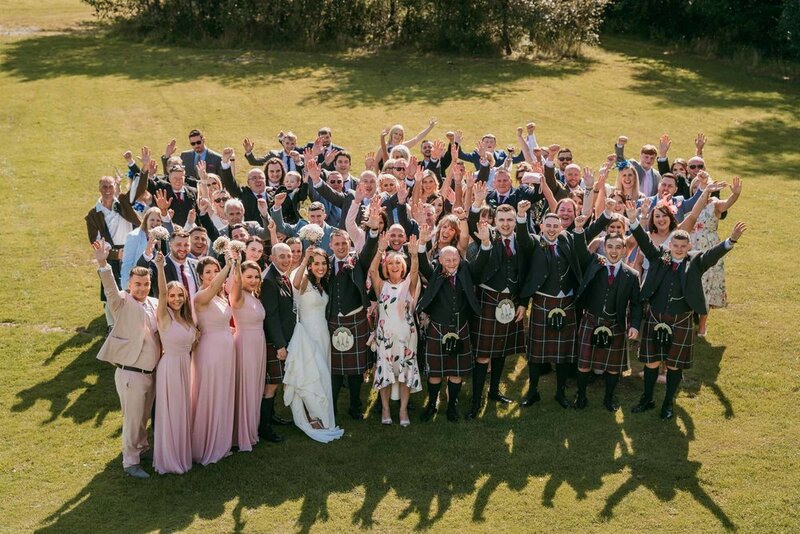 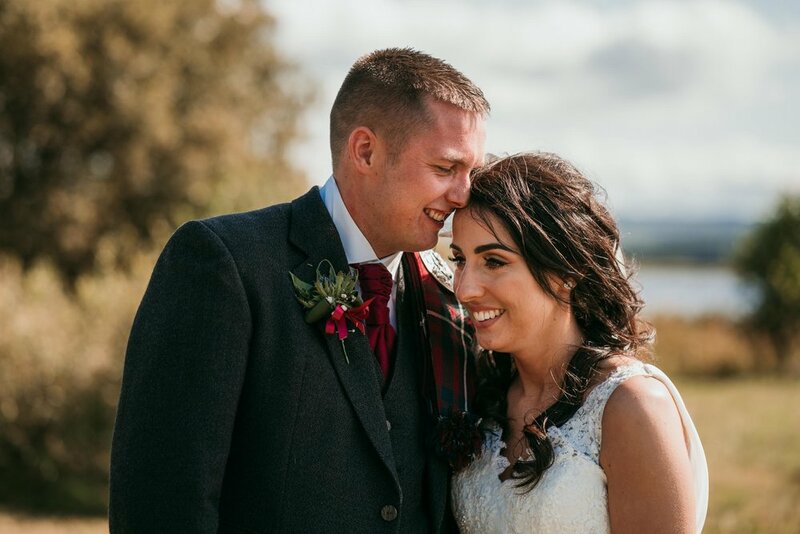 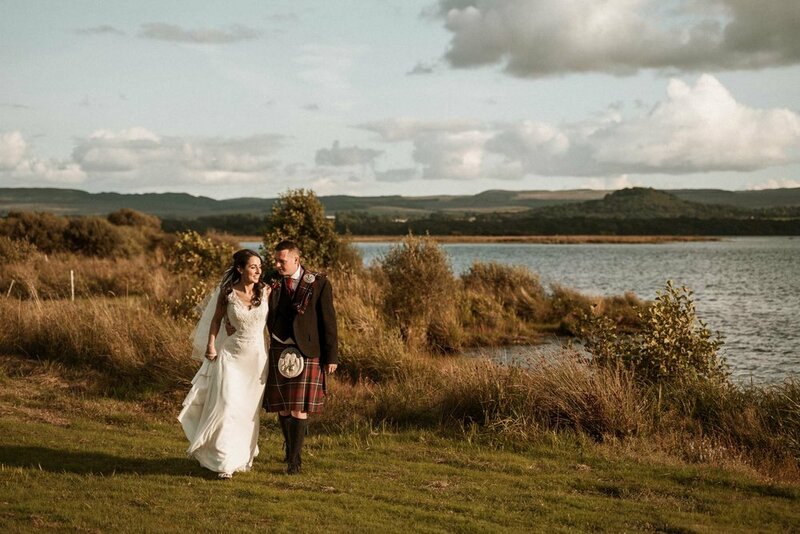 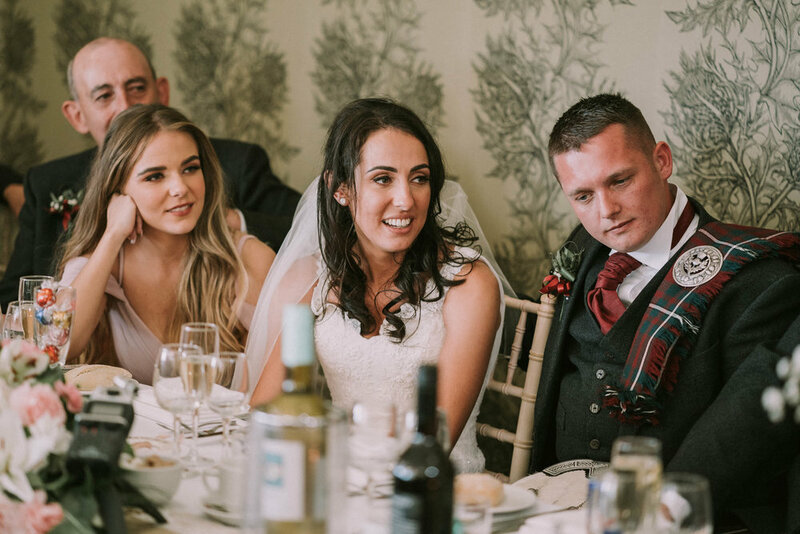 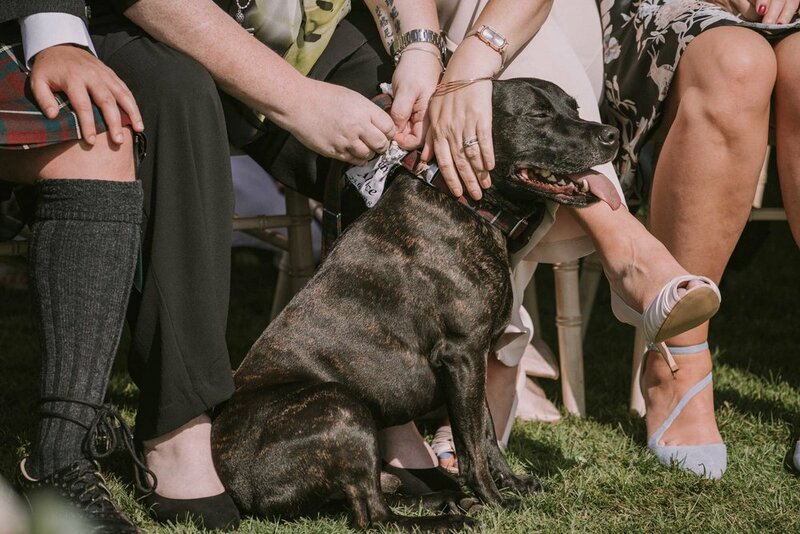 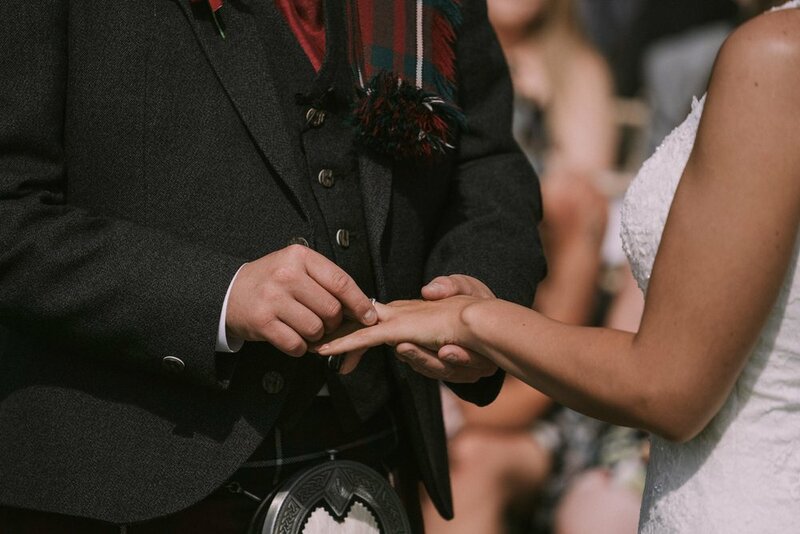 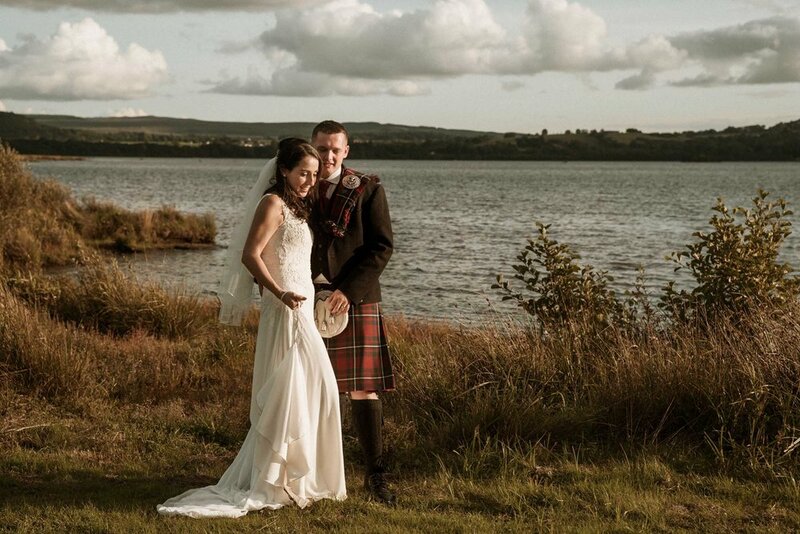 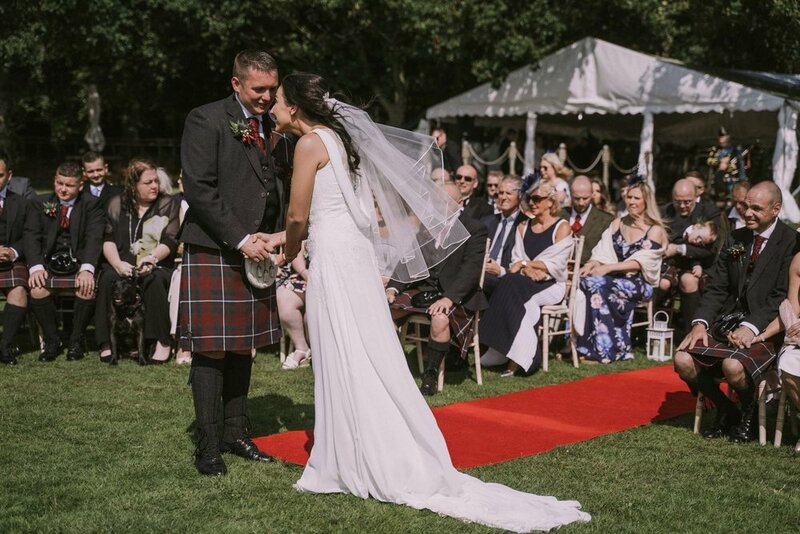 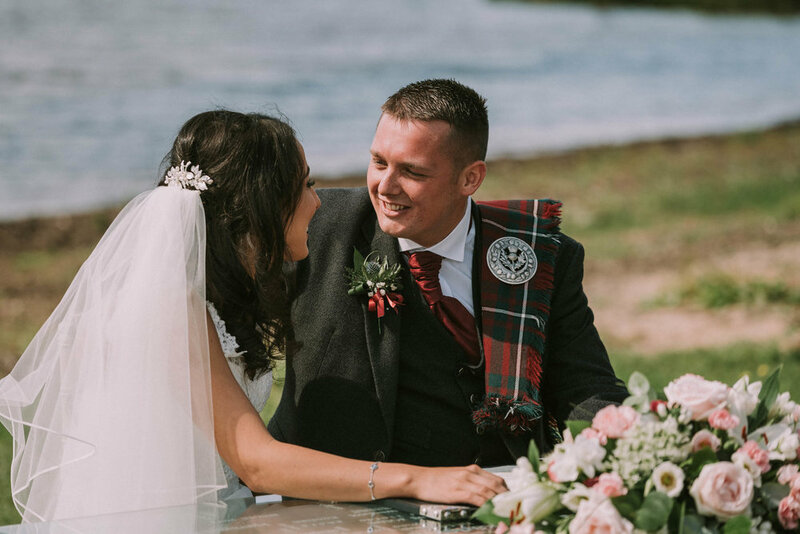 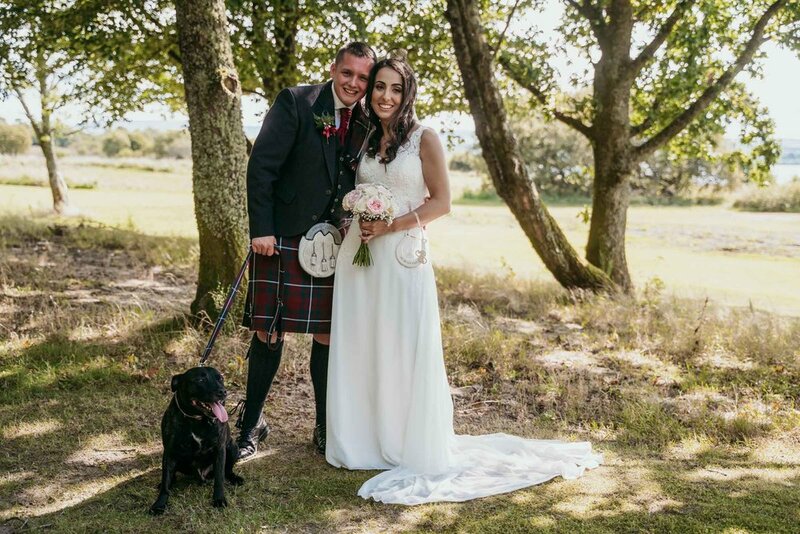 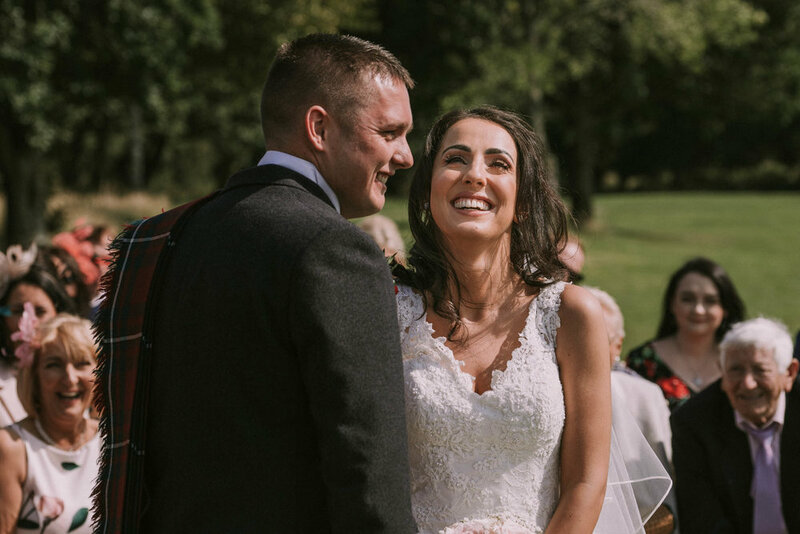 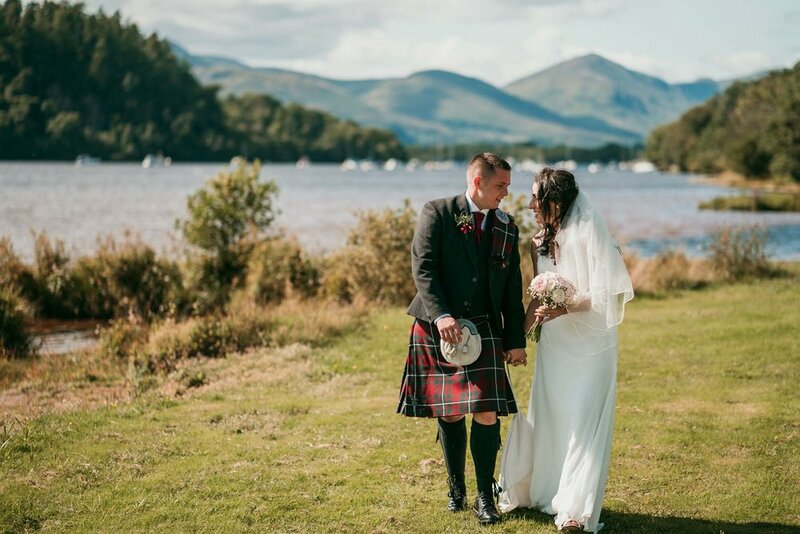 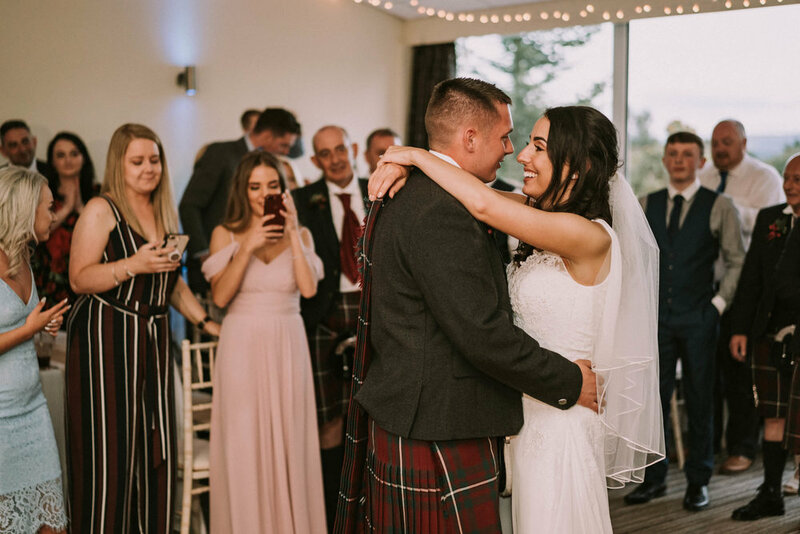 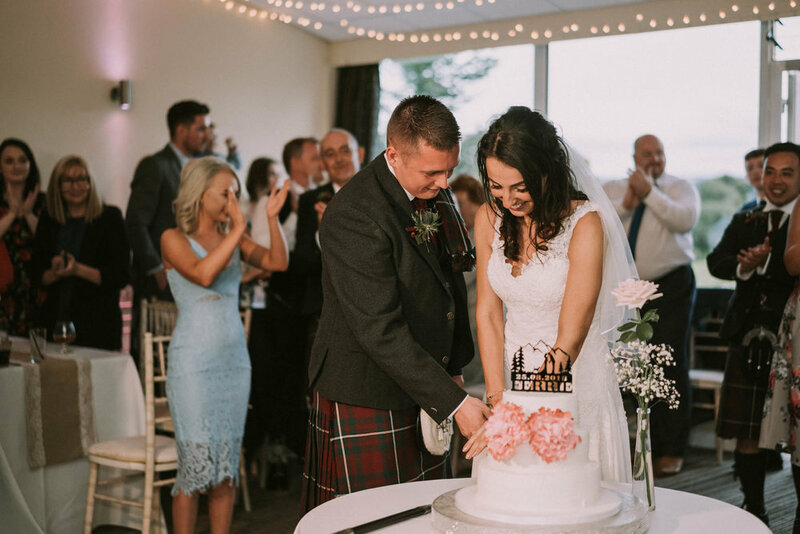 This is one of the few venues where couples can get married outside, right by the water and this was something that was really special and personal to Alice and Colin who love nothing more than an adventure, getting outdoors and bagging Munro’s with their beloved dog, Baxter. 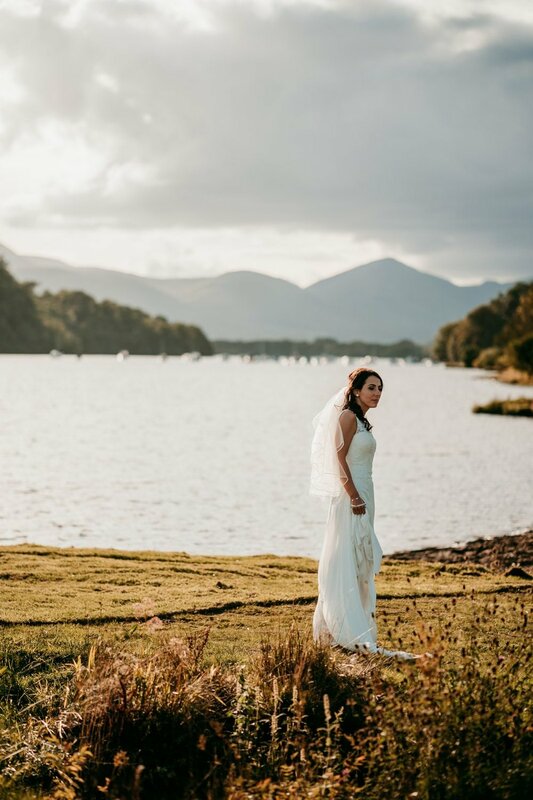 If you are looking for a picturesque place to get married, I think you’d be hard pressed to find somewhere that ranks more highly. 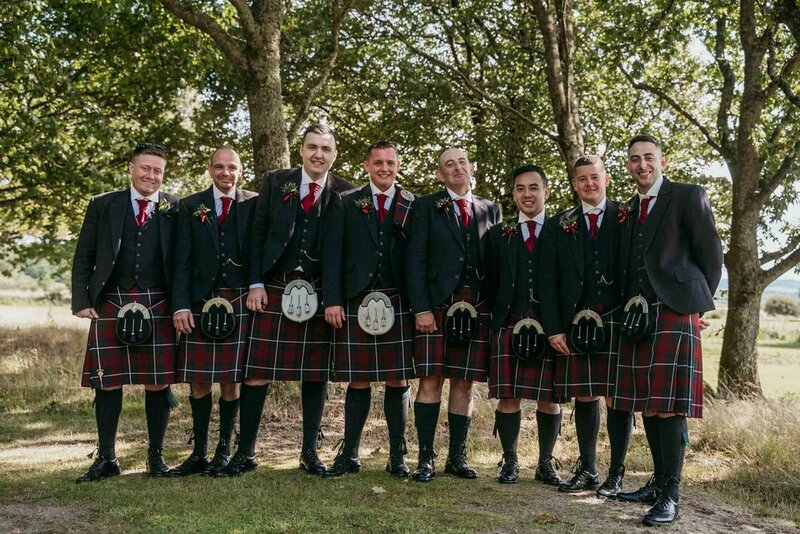 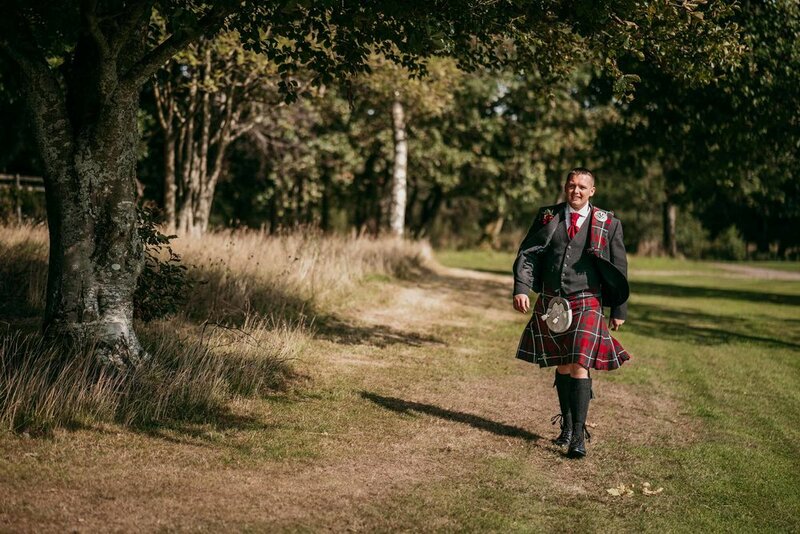 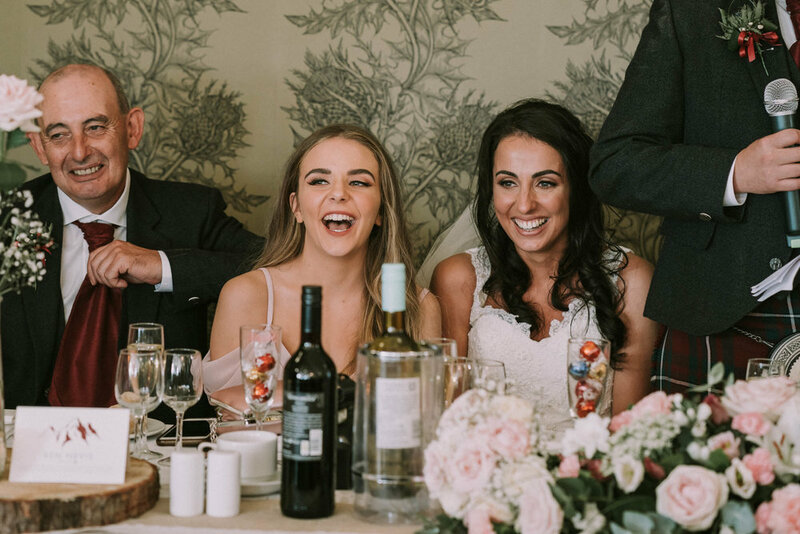 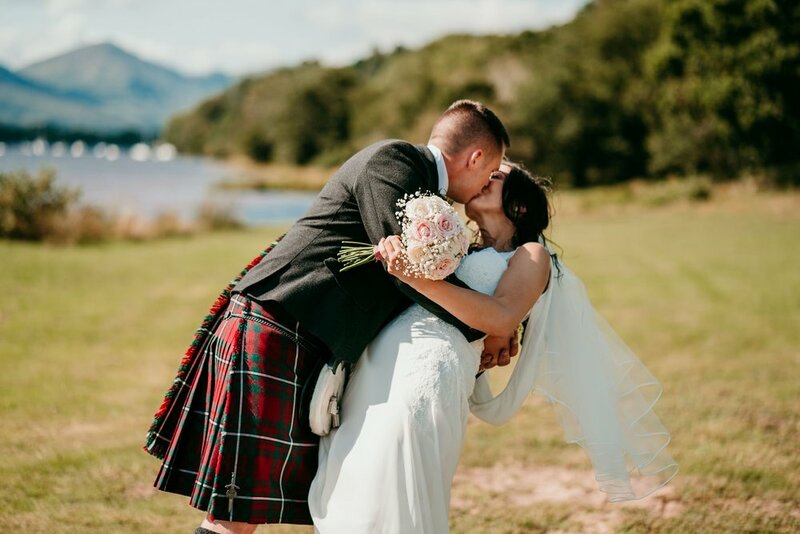 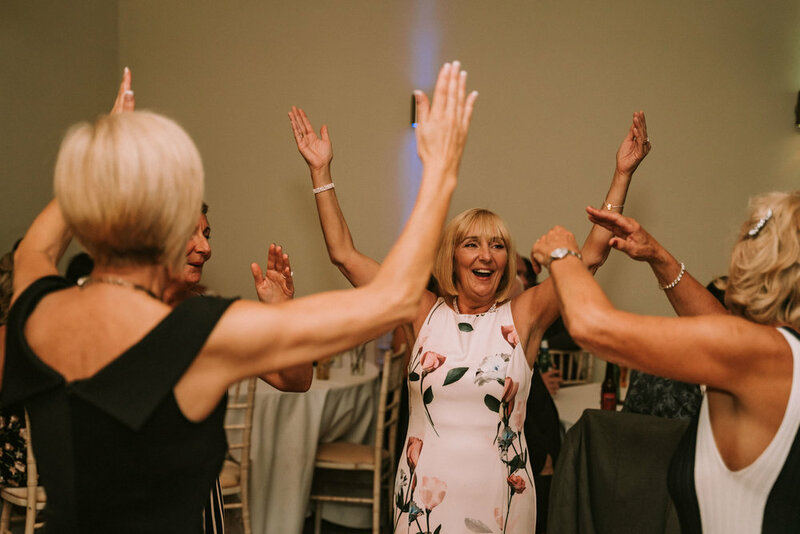 I was incredibly excited about photographing this wedding and when I took the early drive out to Balmaha, I just knew it was going to be the perfect day. 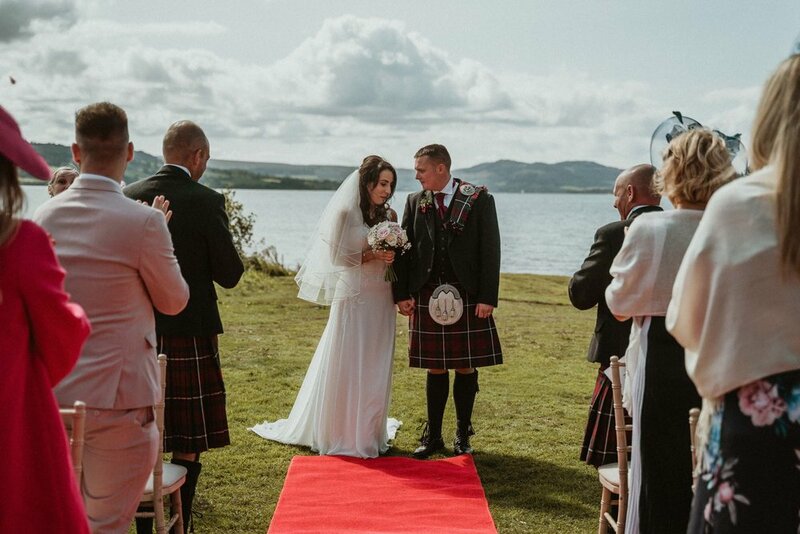 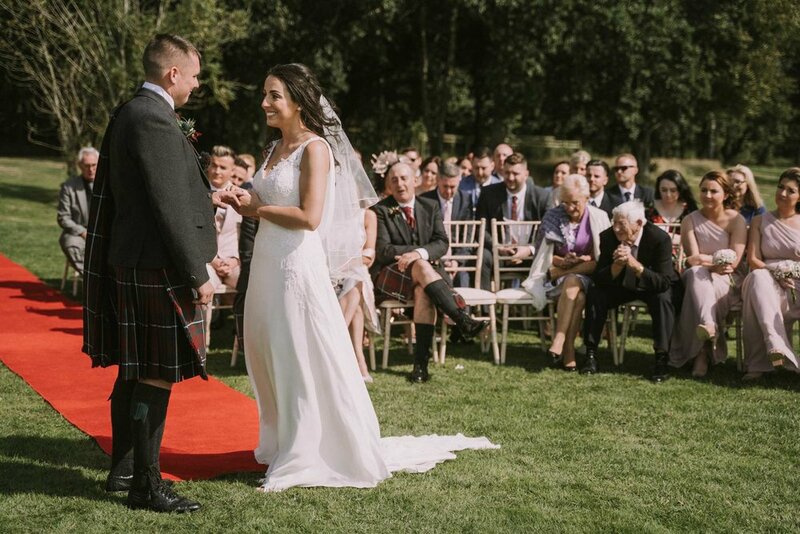 The Sun did not stop shining and we couldn’t have asked for better weather as Alice and Colin exchanged their personal wedding vows by the water in a beautiful Humanist Wedding Ceremony. 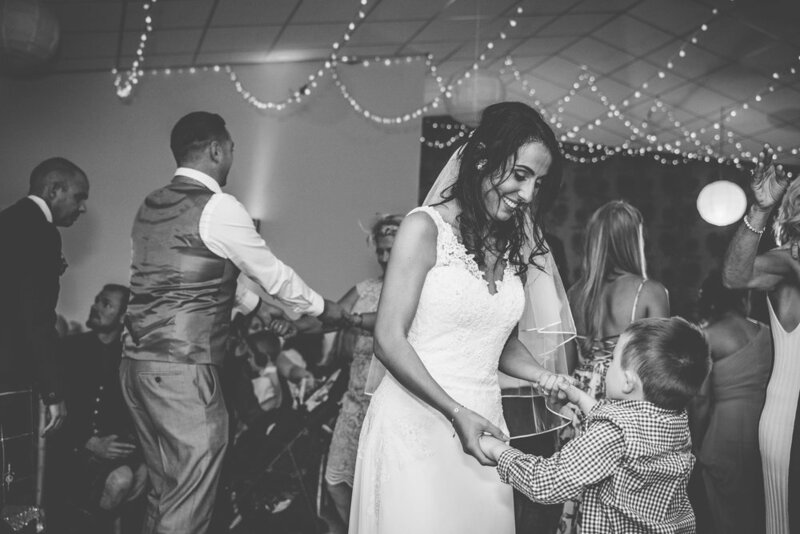 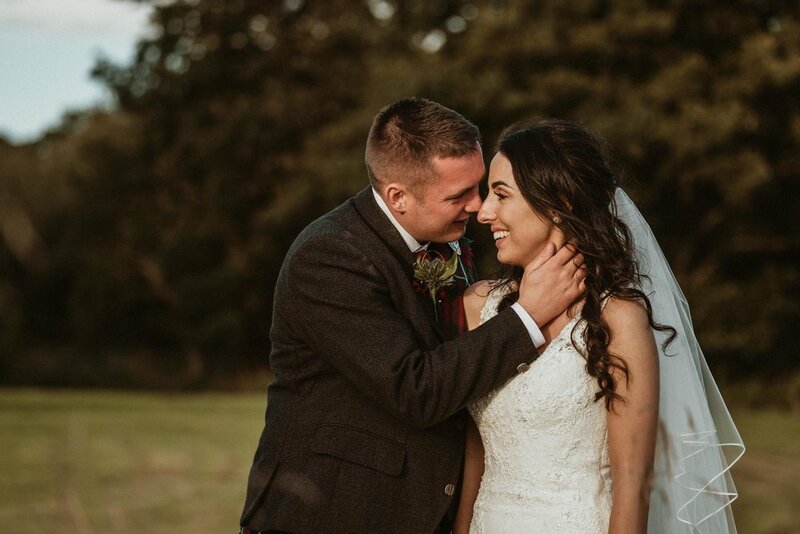 We took advantage of all the surroundings and beautiful natural light to create some stunning photographs that Alice & Colin can cherish forever. 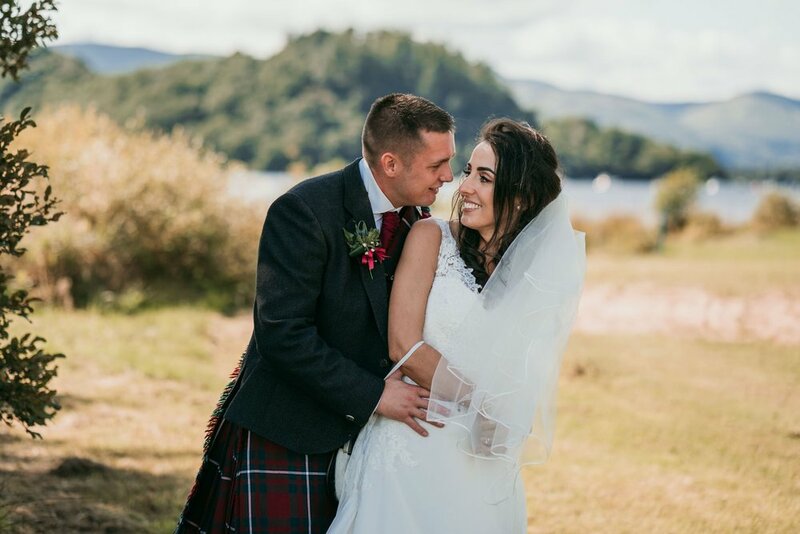 During the couple shoot, they even decided to brave the cold water and enjoy some lovely moments together, which has made for some fantastic memories! 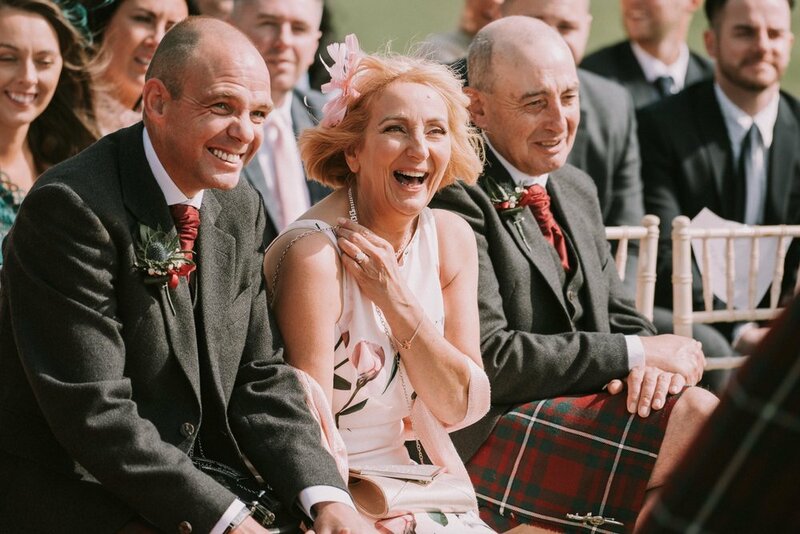 I had an incredible time with this pair, their family and close friends and we did not stop laughing. 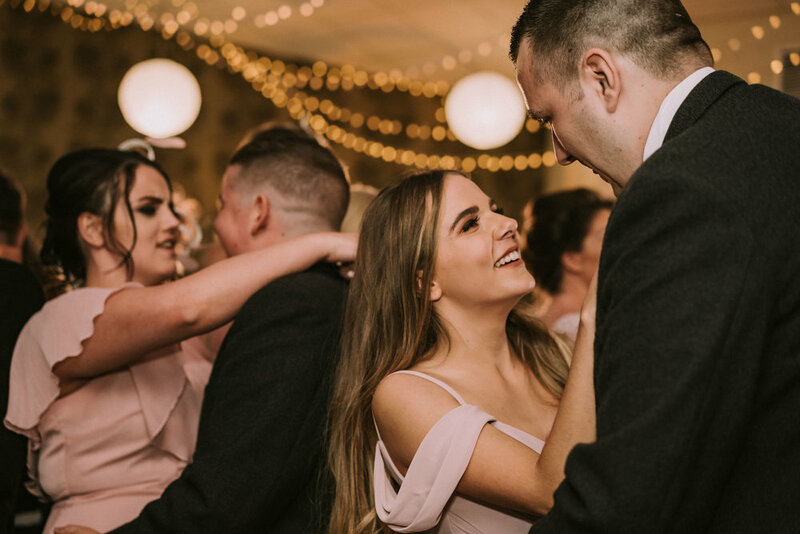 From morning preparations through to dancing, we had a great time and I felt incredibly lucky to have been chosen to capture their wedding story.